Amazon.com description: Product Description: The economic concept of networks refers to the structure of agents' interaction as well as to the economic property of positive externalities. This is a description of the economics of networks from various perspectives, among which are classical approaches, methods derived from physics, theory of evolutionary games, and experimental economics. These different views shed light on the behaviour and interaction of economic agents and on networks and related phenomena. 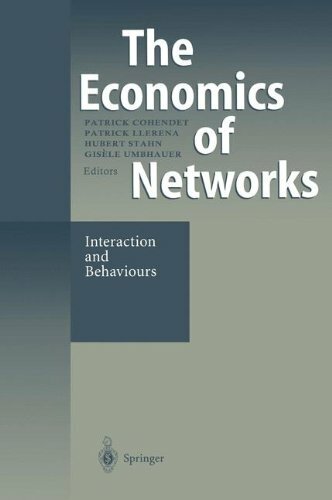 About: The economic concept of networks refers to the structure of agents' interaction as well as to the economic property of positive externalities. About: Alexandre Steyer (REC) and Jean-Benoit Zimmermann (GREQUAM) .